Like many other conditions we learn about in Yoga teacher training, pain in the tailbone can be both helped and aggravated by exercise. 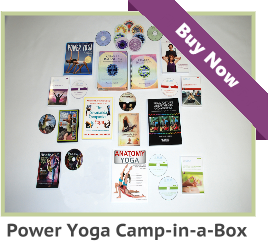 Although some asanas present problems, others alleviate pain and relieve inflammation. The key to success is knowing your own body and finding a good yoga instructor. Pain in the coccyx, or tailbone, is a common condition that affects five times as many women as men. Although the disorder stems from a variety of causes ranging from falls to pregnancy, an unstable coccyx is frequently the culprit. Discomfort varies from mild to acute and is usually aggravated by sitting. Located in the root chakra at the tip of the spine, the tailbone is closely related to the sacroiliac, or S-I, joint. Misalignment of the spine in this area can lead to emotional concerns related to the first chakra and physical pain caused by instability and stress. Difficult to diagnose and to treat, the condition can become chronic if not properly managed. • Strengthen the S-I joint and backbone with standing poses and simple backbends. • Be aware of forward bends and other poses that stress or unlock the S-I joint. • Evenly distribute weight between both legs. • Keep feet hip-width apart in poses like Tree Pose or Warrior I. • When doing twists, move the sacrum and pelvis together. • Avoid poses that stretch the piriformis muscle and exercise caution with standing twists. • Line front heel with the back heel instead of the arch when doing poses like Warrior II or Triangle. The following Yoga postures may help to relieve discomfort and restore mobility to the sacroiliac joint. Any asana that aggravates or worsens pain should be avoided or practiced with modifications and supervision. Some poses can be approached gradually with the help of a well-trained Yoga instructor; others may need to be avoided altogether. Moderation is the key. Understanding basic body mechanics is something we should have learned in our foundational Yoga teacher training. If the skeletal body was not covered. 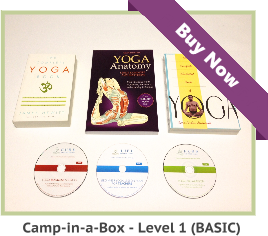 we must enhance our knowledge through continuing education that is specifically designed for a Yoga instructor. 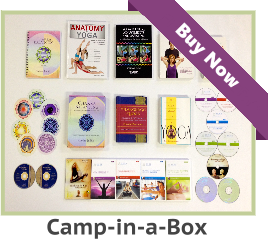 To see our selection of Yoga teacher training courses, please visit the following link. If you are a Yoga Teacher, studio manager, blogger, e-zine, or website publisher, and are in need of quality content, please feel free to use my blog entries (articles). Please be sure to reprint each article, as is, including the resource box above. Namaste! A very well written article to address the ‘Tailbone Pain’. The author deserves all appreciation for enlightening us. This is why I am a regular follower of Aura Wellness blog.. Pain in the tailbone can be both helped and aggravated by exercise. Any asana that aggravates or worsens pain should be avoided or practiced with modifications and supervision. Thanks for sharing this helpful article.